A few weeks ago, we received a call from a client who had all their wiring stripped from the side and rear of their building. At great cost they replaced all the wiring but overnight another attempt to steal their electrical had been made. 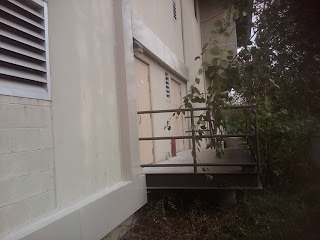 They felt extremely vulnerable as they knew it was only a matter of time before it happened again, and ensuring power supply to their building was of course absolutely necessary. 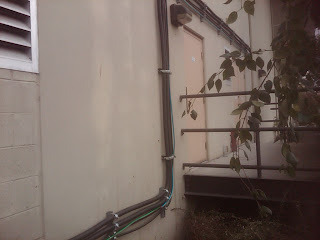 As you will see from the following photos, their building, located in Delta, is fairly isolated and the outside wiring at the back was quite hidden away and convenient to another attempt. 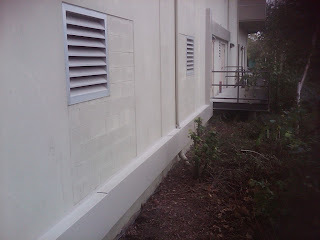 We manufactured 14 gauge steel casements /panels to fit over the exposed wiring and copper airconditioning lines. 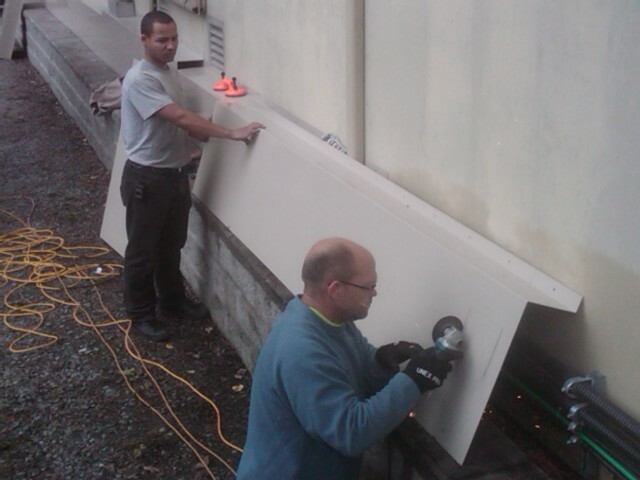 The casements are securely fastened down with a high strength steel drive-in anchors and were powdercoated for weather protection and look like a part of the building. 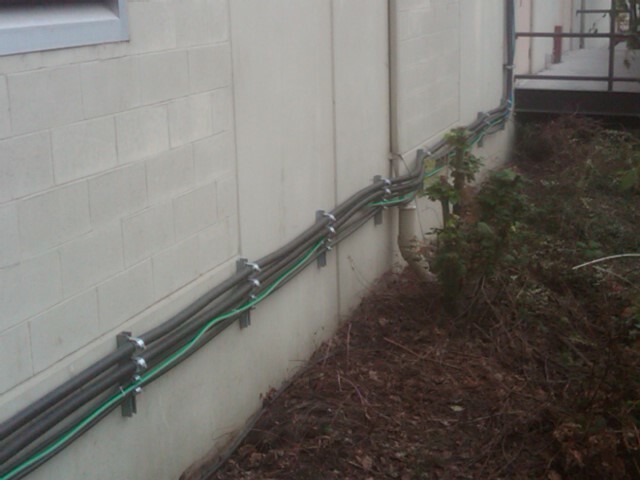 Total cost of our installation was a fraction of what the electrical replacement had been. No further attempts at theft have been reported we are happy to report!